1. Abacus is one of the most primitive calculating devices known. It is still being used in some countries for calculations. 2. China is majorly considered to be the place of origin of Abacus. The originally written documentation on Chinese abacus is dated in the second century BC. 3. 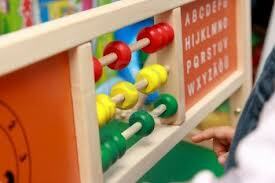 The Abacus that we use today, i.e. Soroban, can be instantly made to read zero by a horizontal pull along the center of the frame. 4. Abacus can be used to perform additions, subtractions, multiplication, divisions for both positive and negative numbers. It can also perform advance functions like calculating up to decimal places. 5. In modern times, Abacus has been proved to be a brain development tool that also aids in enhanced mental arithmetic abilities in small kids. 6. The computers that we use today make use of “Binary Abacus” for the purpose of manipulating numbers. ASCII code is used to reads sign, symbols and numbers etc. to be read in binary language by the computers. 7. “Cranmer Abacus”, which was invented by Tim Cranmer, is used by blind people to make calculations easy and accurate. Take the MasterMind Abacus Program for complete brain development of your child and make them learn to use their mental arithmetic to the core. Abacus is an ancient tool used for calculation. Again, nowadays it has earned a lot of importance and every second parent wants their child to learn and perform abacus. Because of this there are numerous of institutes who provide abacus classes.